This communication is made pursuant to art. 13 and 14 of the 2016/679 European Regulation on the protection of personal data (hereinafter “GDPR”), and subsequent amendments and additions and the relevant Italian legislation, including Legislative Decree 101 of 10 August 2018, from hotel royal court s.r.l. via marghera 51 00185 roma – VAT number 12115331006 (hereinafter also the “Company”) as Data Controller for the processing of your personal data, and is aimed at those who interact with the Company’s web services accessible by telematic means starting from address https://www.royalcourthotel.it. This information is intended to inform the user of the processing of personal data concerning him. The website offers informative and sometimes interactive content. While browsing the site https://www.royalcourthotel.it/ will be able, therefore, to be acquired information about the visitor, in the following ways. The computer systems and software procedures used to operate this website acquire, during their normal operation, some data whose transmission is implicit in the use of Internet communication protocols. This is information that can NOT be associated with identified or inclusive data subjects. This category of data includes only the IP addresses, the addresses in the notation URI (Uniform Resource Identifier) ​​of the requested resources, the time of the request, the method used in submitting the request to the server, the size of the file obtained in response, the numeric code indicating the status of the response given by the server (success, error, etc.) and other parameters relating to the operating system and the user’s computer environment. These data are used for the sole purpose of obtaining anonymous statistical information on the use of the site and to check its correct functioning and are deleted immediately after processing; at present data on web contacts do not persist for more than seven days. The optional, explicit and voluntary sending of e-mails to the addresses indicated on this site entails the subsequent acquisition of the sender’s e-mail address, as well as any other personal data entered, necessary to respond to requests. We do not collect or use personal information about who visits the website. Visitors remain anonymous. The only exception concerns the personal identification information necessary for the execution of the booking service and for the subsequent provision of hotel hospitality services requested by the user / interested party. We do not collect or use personal information about who visits the website. However, in case of booking through the site, the user is required to provide name, address for billing, e-mail and telephone number. HOTEL ROYAL COURT S.R.L. will use this information only for the processing of the booking and to send specific information relevant to the confirmation of the same such as, by way of example, receipt, booking code and conditions. The information provided will not be used for commercial purposes and will not be sold, transmitted, licensed or forwarded to third parties in any other way. 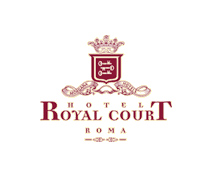 Information on payment methods and credit card details are managed by HOTEL ROYAL COURT S.R.L. only for the time necessary to verify the payment; such information will be deleted upon successful completion of the transaction and in any case held no later than 30 days from the Customer’s stay. The only person who can acquire the booking data is our online booking service provider HTTPS://WWW.BOOK-SECURE.COM (to which the navigator / customer provides the data spontaneously before giving it to HOTEL ROYAL COURT SRL) who is responsible for processing online reservations together with credit card issuers who can be contacted to verify the validity of the same. In any case, the administrator of the payment site is solely responsible for the aforementioned data and has assured in writing to HOTEL ROYAL COURT S.R.L. the adoption of scrupulous procedures to protect navigation data and the use of particular care to keep credit card data provided during online bookings, as well as its own compliance with GDPR regulations. Apart from what has just been specified in relation to navigation data, the user is free to provide the requested personal data – via the Collection Form or the “contacts” section of the Online Booking Office – to obtain the sending of material explanatory or other communications or information. Failure to provide them, however, may make it impossible to obtain what has been requested. The sending of data involves the acquisition of the sender’s e-mail address and all other personal references entered, necessary to respond to requests. Personal data are processed using IT tools for the time strictly necessary to achieve the purposes for which they were collected. Specific security measures are complied with to prevent data loss, illicit or incorrect use and unauthorized access. The processing is carried out through organizational methods and with logic strictly related to the purposes indicated. In addition to the Data Controller, specific categories of Authorized parties involved in the organization of the site (administrative, commercial, legal, system administrators) or external subjects (such as third party technical service providers, hosting providers, IT companies, communication agencies) may have access to the data. ) appointed as Data Processors by the Data Controller. The updated list of Managers can always be requested from the Data Controller by sending a specific communication to the Company at the addresses indicated in the “Contact details” section of this statement. The data collected by the Company will be stored at the company headquarters and will be shared and transferred only to third parties indicated in this Privacy Statement. The updated list of data processors is available at the registered office of the Data Controller and will be provided upon written request. HOTEL ROYAL COURT S.R.L. conducted a study on “impact assessment” and “risk assessment” in relation to the processing of data according to the GDPR legislation: it has therefore prepared and implemented all the technical and organizational measures necessary to provide an adequate level of safety and confidentiality to personal data, to avoid destruction, accidental or illegal alteration, loss, disclosure to third parties, unauthorized access and, in general, any possible data breaches. The billing data will be kept only for tax time; the data of the user who asks for an online estimate but does not make purchases will be immediately canceled. The User can always request the interruption of the processing or the deletion of the Data to the Data Controller by sending a specific communication to the Company at the addresses indicated in the “Contact details” section of this information. The Data concerning the User is collected to allow the Owner to provide the contractual service or services requested and, further, for the following purposes: contact the User for any problems relating to the reservation; interact with social networks and external platforms; registration; access to accounts on third-party reservation services; payment management; monitoring of third-party online booking sites; management of addresses and sending of e-mails on request by User (estimates, etc. no marketing); statistics; viewing content from external platforms; commercial affiliation; interaction with support and feedback platforms; user database management; management of support requests and contact backend infrastructure. you oppose the treatment while HOTEL ROYAL COURT S.R.L. check if your legitimate motivations prevail over yours. o Your Personal Data has been processed unlawfully. o Unless the processing is necessary by virtue of legal or tax obligations in order to establish, exercise or defend a right in court. Right to file a complaint. In case of alleged violation of the current privacy law, you can file a complaint with the competent authorities of your country or of the place where the alleged violation would occur. Cookies are used on our website to allow users a better service and browsing experience. Cookies are small files recorded on your hard drive. This allows easier navigation and greater ease of use of the site itself. If you disable cookies there are no consequences; however, if the user blocks or deletes a cookie, it may be impossible to restore the preferences or custom settings specified above and our ability to make browsing faster. In the event of any booking of a room, the user is redirected to the website of our Fastbooking.com manager who, from that moment, becomes the manager of the related policies for the exercise of cookies by raising HOTEL ROYAL COURT S.R.L. from any responsibility.